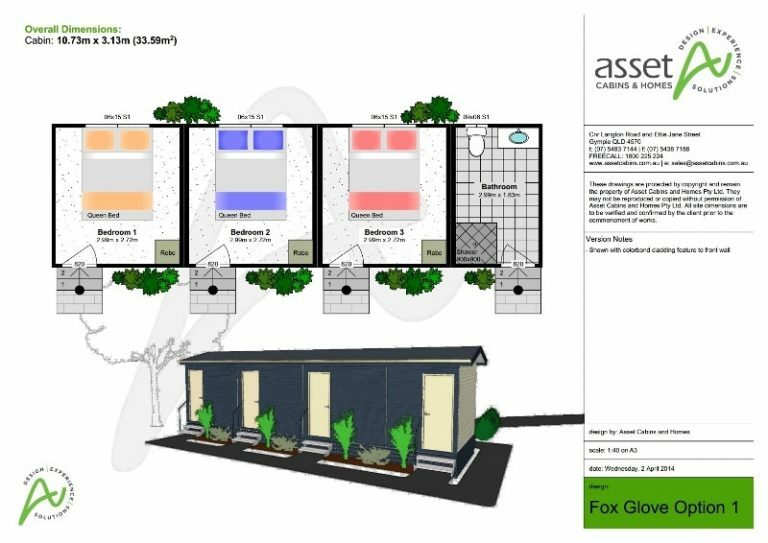 Fox Glove Option 1 is a three-bedroom + bathroom relocatable cabin suitable for mining/worker accommodation. 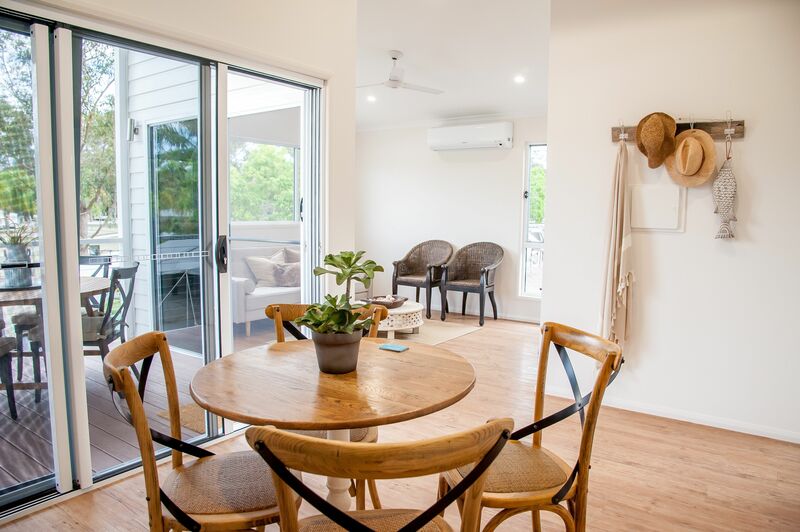 Each bedroom contains a double bed and built-in wardrobe, and the bathroom at the end of the cabin has a shower, toilet and basin. With an overall width of only 3.13m, the Fox Glove Option 1 relocatable cabin is especially suitable for narrow sites. Note: For a version of this cabin that also includes a laundry facility, see Fox Glove Option 2.